On behalf of The Salt Lake Tribune, I apologize if we ruined your holidays. To be fair, who really thought so many people’s heads would explode when top editors picked Sen. Orrin Hatch to be “Utahn of the Year.” But sure enough, they did, and scraping brains off the ceiling is no way to spend Christmas. The guy was key to rescinding protections for about 2 million acres of Utah’s precious landscapes, he helped dismantle the health care system that has enabled about 200,000 of his constituents to see a doctor if they get sick, and he championed an abomination of a tax bill that will put billions in the pockets of his donors. It genuinely seemed like every time something terrible happened in Washington, there was Hatch, standing next to President Donald Trump, like they were just two horsemen short of an apocalypse. So, yeah, the senator probably deserved to be Utahn of the Year, for better or worse. Well. Mostly just worse. Chris Detrick | The Salt Lake Tribune Gail Miller, Owner, Larry H. Miller Group of Companies, speaks during a presentation at Vivint SmartHome Arena Wednesday September 21, 2016. She’s the richest person in Utah, and in 2017 she used her energy and that substantial wealth to make the state a better place. In January, the Miller family transferred the Utah Jazz and the newly renovated Vivint Smart Home Arena to the Miller Family Legacy Trust, a big deal aimed at ensuring the team never leaves the state. In August, the Millers also offered to match $10 million in donations to help address the homeless problem in downtown Salt Lake City, the largest such private contribution. And, in November, they gave $5.3 million to the University of Utah to fight diabetes, which claimed Gail’s husband, Larry Miller, in 2009. 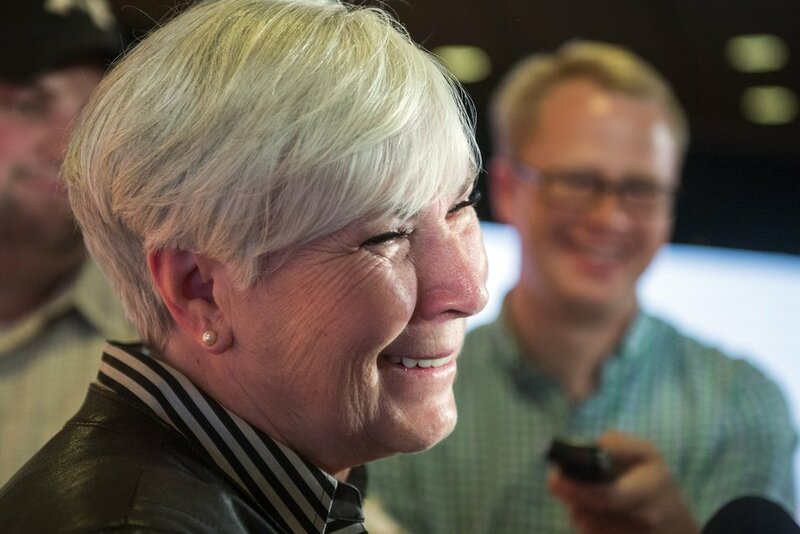 Gail Miller is also helping to transform Utah politics, throwing her weight behind the Our Schools Now initiative, which is pursuing tax increases to pump $700 million into Utah’s underfunded public schools, and the Count My Vote initiative, which would give mainstream voters the final say on their party’s nominees for political office. 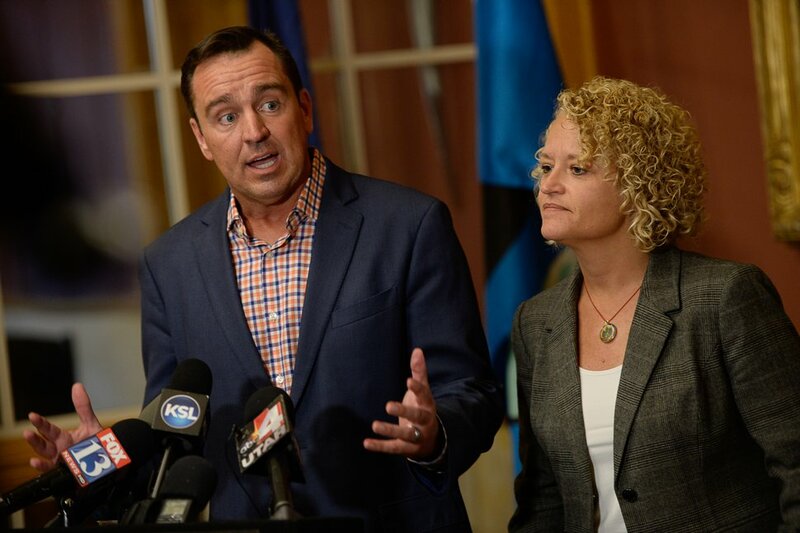 (Francisco Kjolseth | The Salt Lake Tribune) Salt Lake City Mayor Jackie Biskupski and House Speaker Greg Hughes hold a press conference at the City and County Building regarding Operation Rio Grande on Thursday, Aug. 31, 21017. Mayor Biskupski says Rio Grande St. will be closed to vehicle traffic on Friday. Up until midyear, the state’s efforts to tackle the homeless issues in downtown Salt Lake City lacked a clear focus and were bogged down by political infighting and bureaucratic intransigence. Then, in July, a frustrated Hughes had seen enough. He very publicly called for a new “Homeless Czar,” a crackdown on lawlessness in the Rio Grande area and broad state involvement in combating the problems. It was long overdue. Hughes’ action got Gov. Gary Herbert, along with the city and county mayors, law enforcement and social service providers to come together for Operation Rio Grande, and to cough up additional resources. Homelessness has always been a statewide problem, but until Hughes opened his big mouth, it hadn’t seen the kind of statewide approach to solutions. 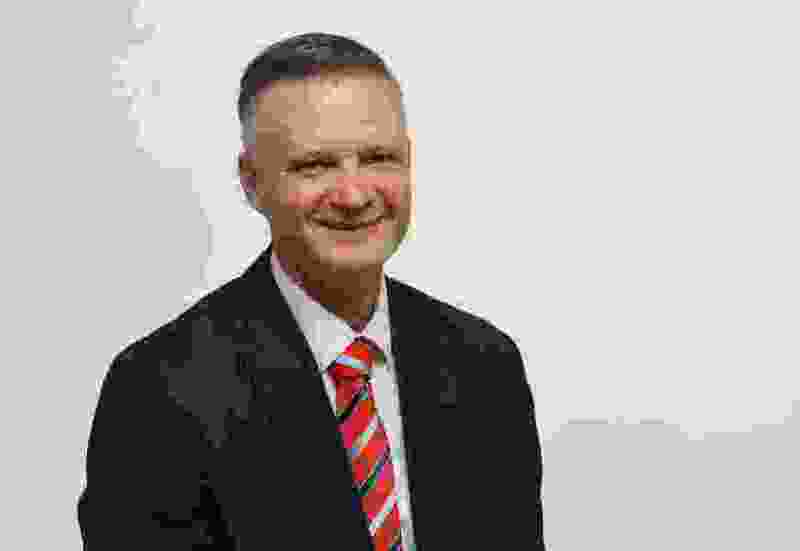 As an outgrowth of that, Hughes, in November, began encouraging Utah counties to sue the pharmaceutical companies over opioid marketing practices that on average kill two dozen Utahns a month and destroy countless more lives. Steve Griffin / The Salt Lake Tribune Thousands of people attend the Women's March on the Capitol which began at City Creek Park, and proceeded up State Street to the State Capitol. Participants filled the Rotunda for a rally against bills and stands they say hurt women. in Salt Lake City Monday January 23, 2017. 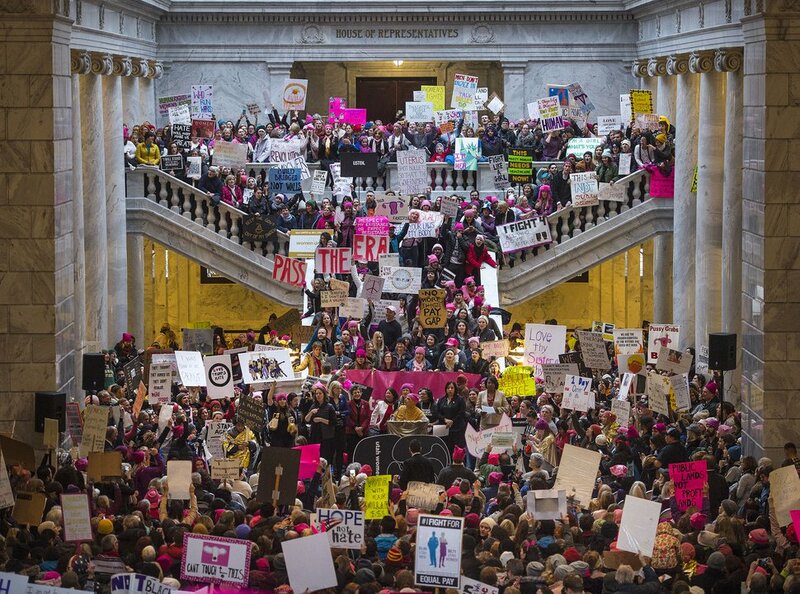 In 15 years reporting at the Utah Capitol, I’d never seen a crowd like it: Six thousand people, overwhelmingly women, many who brought their daughters, supporting fair treatment of women and protesting the inauguration of Trump. I didn’t think I’d see anything like it again for a long time. Then, in December, nearly that many turned out in the cold to protest Trump’s looming declaration to shrink the Bears Ears and Grand Staircase-Escalante national monuments. (Chris Detrick | The Salt Lake Tribune) Supporters of the Bears Ears and Grand Staircase-Escalante National Monuments rally at the Utah State Capitol Saturday, December 2, 2017. 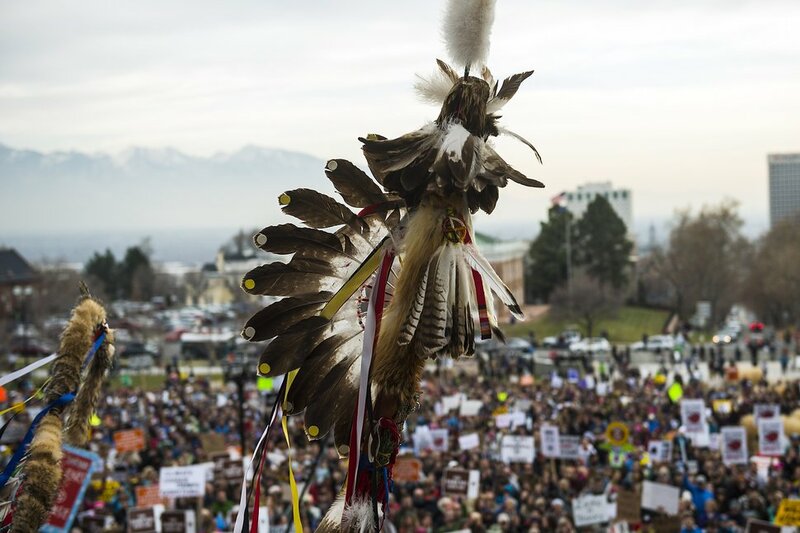 Utah Highway Patrol estimated 5,000 people attended the rally. In the meantime, people who had never been involved in politics were organizing all across the state, getting educated and learning how to engage in a system that had let them down. Frustration with the Utah Legislature’s inaction on issues important to their constituents could mean that we’ll have as many as five grass-roots-led initiatives on the ballot in 2018 — the Our Schools Now and Count My Vote measures, one to legalize medical marijuana, one to create an independent commission to draw political boundaries, and one to expand Medicaid coverage to low-income Utahns. Get mad. Speak out. Focus that energy and work hard, and it could make all the difference in 2018. (Rick Egan | The Salt Lake Tribune) Justice Christine M. Durham visits with Leonard and Alene Russon, during Judge Durham's retirement reception at the Matheson Courthouse, Monday, November 13, 2017. With the possible exception of Martha Hughes Cannon — a doctor, who fought for a woman’s right to vote, then ran against and beat her polygamist husband for a state Senate seat — the state hasn’t seen a woman as trailblazing as Justice Durham, who retired from the Utah Supreme Court in November. Durham was the first woman on the Utah District Court, and in 1982 became the first woman to serve on the state Supreme Court — and got a chilly reception from her male colleagues. For 35 years on the court and over the course of hundreds of cases, she was a leader, an advocate and a mentor. She was a founding member of Women Lawyers of Utah in 1980, served 10 years as chief justice and, in that capacity, radically reshaped the Utah court system, helping to make it one of the best in the nation. For the first time in Utah history, women hold a majority of the seats on the Utah Court of Appeals, and young lawyers across the state — male or female — would be hard-pressed to find a better role model than Durham.